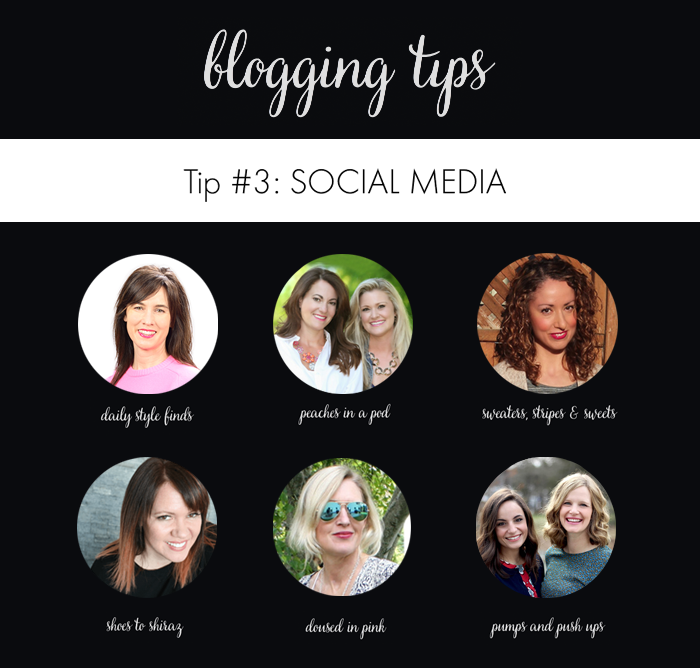 This week on our blogging tips series - we are going to be talking about social media. Social media is one of those areas that I believe can really drive traffic and business to your blog; however, it is one of those areas that I struggle with, so I am especially excited to read everyone's ideas this week. Pinterest is probably the only social channel that I have found to drive business directly to my blog. Because of this, I have started to be more conscious of pinning my images to my Pinterest boards. (I even created a board for this series - on Blogging Tips). I try to pin at least one image from each post I publish. I also signed up for a business Pinterest account, so that I can track which pins are getting the most traffic - and how engaged my audience is. 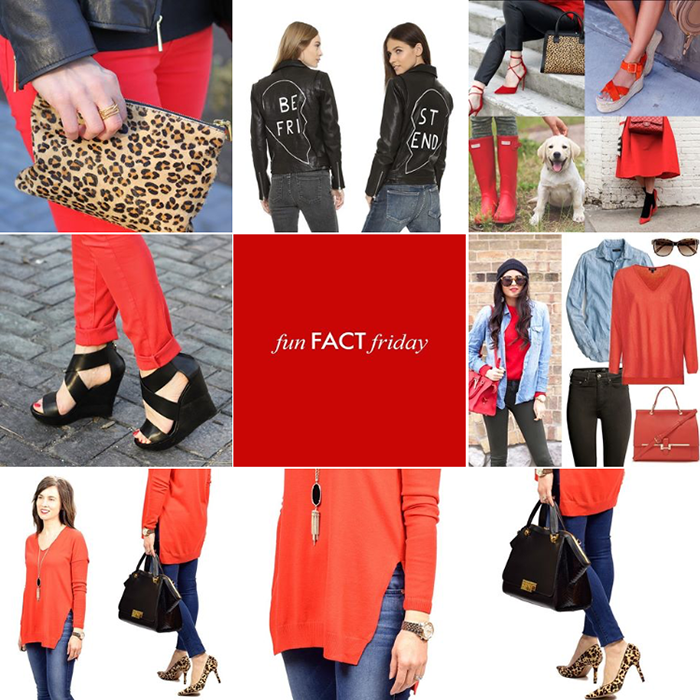 From my statistics, I can tell there is traffic on Pinterest, and my outfit collage pins seem to be the most popular. This is my top pin so far. Also, I make sure to check what searches are trending and are the most popular topics searched on Pinterest. This information is under the heading “Your Business”. I have also tried prompted pins on Pinterest the last couple of weeks. I have found that I get more traffic to my blog this way. For a small cost, I am excited to get some engaged followers, rather than “ghost followers” through Instagram loops and other giveaways. One thing I have found with prompted pins is that I get the most engagement the first couple of days - so I have found that shorter duration promotions are better than longer ones. I once heard a speaker say that you can’t do it all with social media - and that you should pick two platforms to focus on. I think that is the best advice. In trying to create content for the blog - and engage with readers - and everything else that comes along with a blog (in addition to working another job) - I just can’t do it all. In addition to Pinterest, I split my time between my two other platforms - Instagram and Facebook. In an effort to grow my Instagram following, I have tried different loop giveaways. They have grown my following each time; however, most of the numbers have been through “ghost followers” - the ones that just follow for the giveaways. After the giveaway ends, I typically see a drop in followers. Giveaways can be a great way to get your numbers up - but if you participate in a lot of them the cost can add up quickly. I have heard good things bout Lynn Gabriel giveaways (however you typically need over 10K followers to join), and I have participated in one with Fierce Society. I found this article which has some good ideas on how to grow a following on Instagram - 11 surefire ways to grow your Instagram and this post talks about 30 tips to get more instagram followers. One of the most important things - is finding a way to engage with your followers - and find that niche audience. One of the tips is to have a "pretty" Instagram feed. I have really worked at creating a more cohesive Instagram feed - by doing color themes on my blog each week. If you are having trouble keeping up with publishing to all the different social media channels - Hootsuite is a solution that helps manage this. I have yet to try it out - but I know others that use it and love it. Here is a quick start guide if you are interested in trying it out. I have used iconosquare to track my followers and follow my engagement - when it was free. Now the stats are only available for the paying subscribers. The prices range from $28 per year for the Plus package and $149 for the Elite package. Iconosquare helps by tracking your most engaged times to post, best days, hashtag performance, etc. On June 1, Iconosquare plans to release a new product that will replace its existing one. This blog post helps to explain how to use Iconosquare from a blogger that uses it. I tried the trial version of Archie - and I would be interested in trying it again. Archie works by engaging with those readers you have defined. Based on what your ideal customer is looking for - Archie goes out and finds those similar customers and brings them to your feed. Next, be sure to "hop" over to Marta at Sweater, Stripes and Sweets to read her tips on social media. I didn't know about checking the top trend on Pinterest or the prompted pins! Thanks for sharing these ideas! Too funny about the washing machine! We love Pinterest and it really helps promote our blog. I love your tips on getting a business account. Good luck with the repair man today!!! I visited a couple of the links about growing your Instagram followers. There are some good tips in there! I'm going to try to focus on this during the summer when I have some more time. Fantastic post, Lisa! I really enjoyed your thoughts on social media and am excited to read some of your suggested articles! bahhaha- I hope it's a good pair of undies at least! Glad to hear your thoughts on Pinterest...this is definitely inspiring me to do more! Such a helpful post Lisa!! Wow after reading all the posts I think I really need to get on Pinterest, great tips about how to use it also. Thanks for sharing the articles too. Archie sounds really cool- and I need to check out the prompted Pins! I didn't know about prompted pins either...good to know! This month is all about Pinterest for me...organizing my boards, starting to follow people...I can do this! Such a great list! I love the idea of just focusing on 2 platforms and Pinterst is my tops as well. I haven't tried promoted pins yet, but that is good to know! I do plan on trying it out sometime. Thanks for the tips! I kept seeing 'posted through Hootsuite' or something like that, on so many bloggers' Instagram, Pinterest and Twitter feeds. Finally discovered Hootsuite for myself...LOVE it. I am glad to read that dedicating your energies on two media outlets is advised. I just don't really get Twitter. I am far too wordy for that!! But love Pinterest and Instagram. Going to concentrate on them. Great post. Thanks for sharing these awesome tips!! Thanks for sharing your tips! They were really helpful! You are filled with such an abundance on info. I love it!! Thank you for sharing! Love this topic and am having so much fun reading all your responses! Good to hear you have had success with promoted pins. I might have to try one out.